Now Donald Trump has finally backed out of the Iranian nuclear deal, the rest of the world is trying to understand the thinking that went into his decision. High up the list of factors is a longstanding American unease about Iran in general. But while most Americans don’t like the Islamic Republic of Iran, some dislike it much more virulently than others. Why? The broad American antipathy towards the Iranian government can be traced back to the Iranian Revolution of 1979, and in particular to the Iranian hostage crisis, which saw 52 American citizens held hostage in Tehran for months on end. That event, described by one scholar as “one of the most devastating non-war related events to have ever occurred between two nations”, baffled and traumatized the American people in equal measure. The sight of US diplomats held hostage while baying crowds chanted “death to America” were incomprehensible to most Americans. Few were aware of their country’s past involvement in the 1953 coup that overthrew the democratically elected government of Mohammed Mossadegh, or of the oppression meted out by the Shah whom the US supported instead. Most simply assumed that the American presence in Iran was fundamentally benevolent. Accordingly, they looked to explain the sudden explosion of hatred by looking at those who expressed it, not by reflecting on the legacy of American foreign policy. That recourse was made easier by the nature of those who damned the US. As far as the average American was concerned, the Muslim clerics who led the revolution were about as alien as could be. As such, they were easily reduced to a crude caricature of religious fanatics who hated America merely because they were in thrall to a crazed and bigoted ideology. Although nearly 40 years have passed since the hostage crisis, the American image of Iran as a country of Muslim fanatics who hate the US for no good reason has proved remarkably resilient, and Iran still regularly features at the very bottom of the list of America’s favourite foreign countries most disliked by Americans. That said, not all Americans dislike the Islamic Republic equally. It seems right-wing Americans are more disgusted at Iran than liberal ones. In one 2016 poll, a mere 18% of Democrats held a favourable view of Iran but among Republicans the number fell to 4%. The explanation for this lies not in the nature of Iran (the same split appears if the “other” in question is Cuba or North Korea) but in the politics of the American right and how it views the world. Many on the conservative wing of American politics tend to see the world in stark Manichean terms of good versus evil. To paraphrase George W. Bush, you are either with them or you are against them, and if you’re against them, no compromise is possible. In a world divided into good guys and bad guys, any kind of accommodation with the bad guys amounts to an unacceptable surrender. The notion that the US might choose to tolerate the existence of a hostile regime because the alternative would be far worse is fundamentally alien to this mindset. Another reason why conservatives are less willing to live with Iran than liberals is that they are simply more scared of it. Extensive psychological research has demonstrated that American conservatives consider the world more dangerous than liberals do. Various similarly fearful and suspicious ideological and cognitive biases appear to shape American conservatives’ views on policy – their opposition to gun control, for example, may be powerfully shaped by the fact that they have a higher expectation of needing to defend themselves from crime than liberals do. The same holds true for the American right’s hostility to Iran, and to the 2015 nuclear agreement. It’s clear that many on the right are simply more intensely fearful of the threat posed by a nuclear-armed Iran than those who do not share their worldview. There’s another factor besides that’s helped turn the American right against Iran since the revolution: the rise of politically engaged evangelical Christians. Evangelicals have been a pillar of the Republican electoral coalition since the rise of Ronald Reagan, and as the 2016 election proved, they still are. Their influence explains a lot about the way American conservatism has changed over the decades – not just its general rightward shift, but specifically its increasingly unconditional support for Israel. Since they fundamentally believe that God gave the land of Israel to the Jews, most Christian evangelicals take an uncompromisingly “pro-Israeli” stance. That stance has in turn become the default position of the Republican party. 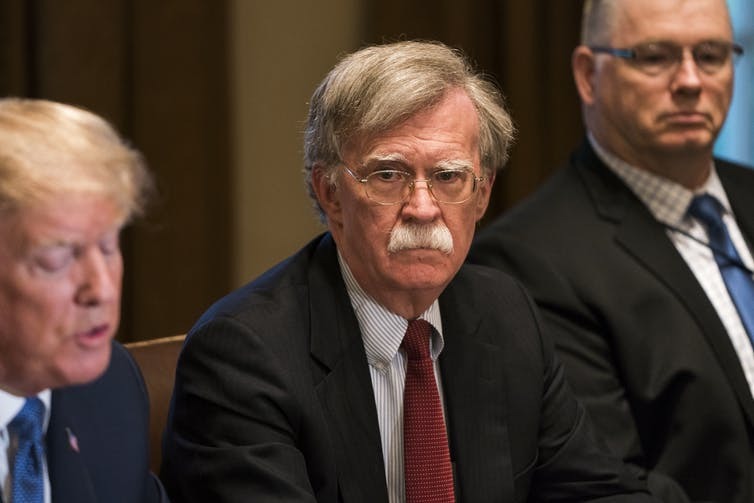 The upshot is that the Israeli government’s profound and growing hostility towards Iran, which it sees as the primary threat to its security, has been mirrored on the American right in general. 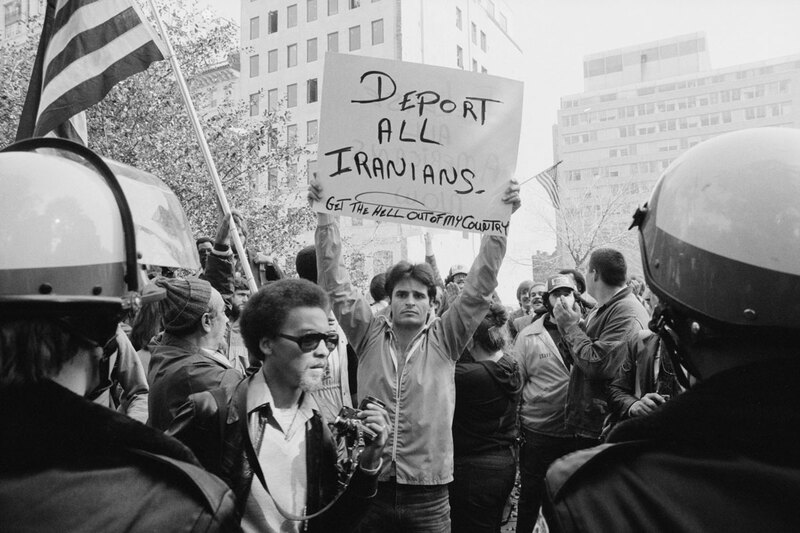 Taken together, this heady mix of historical grievance and deeply held ideology explains why American conservatives’ hatred of the Islamic Republic is quite so vitriolic. And so long as the Republican party’s base subscribes to a fearful, black and white worldview, it will never revise its opinion of what it still considers the US’s most dangerous enemy.